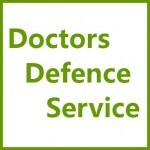 Balance of Probabilities | Doctors Defence Service – UK. The GMC/MPTS applies the civil standard of proof when determining whether the facts alleged against a doctor are proved. The civil standard of proof is known as the Balance of Probabilities. For a tribunal to find a fact proved against a doctor the GMC must prove that the case against the doctor more probably occurred than did not, taking into account inherent probabilities of a situation arising.